After his epic Lord Of The Rings trilogy, King Kong labour of love, and producing the likes of (Oscar nominated & South African based) District 9, Peter Jackson focused his directorial talent on a more intimate story (but one which still utilizes amazing digital technology to propel the narrative). 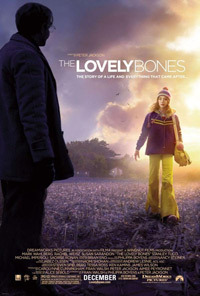 Based on the novel by Alice Sebold, The Lovely Bones is set in the early 1970s and is told by a young girl who was murdered, finding herself trapped between the living and the dead, not yet ready to let go as the killer and his actions are revealed. 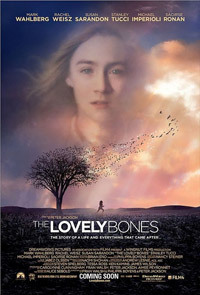 With the focus firmly on the young girl in limbo trying to make sense of it all as she travels through incredible landscapes (often reminiscent to What Dreams May Come), the people left behind (both good and evil) are not neglected in propelling this fascinating tale. Wahlberg plays it low key as the distraught father whose life starts to crumble after the loss of his daughter, the killer yet to be brought to justice. Saoirse Ronan (who made an impressive debut in Atonement) has an amazing dramatic grasp and conviction when it comes to conveying emotion. This, coupled with a powerful humanity and richly textured fantasy world makes this a wonderful blend of murder-mystery and fantasy spectacle - a much advanced expansion on what Jackson did with Heavenly Creatures.